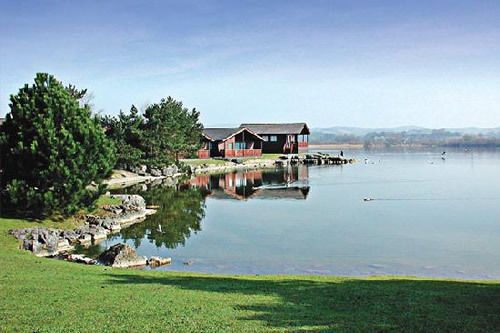 Set at the gateway to the Lake District, this beautiful RCI Gold Crown Resort Pine Lake offers a relaxing and peaceful escape from busy everyday life. This carefully planned Leisure Resort has a wealth of facilities on-site, including a water sports center with sailing and waterskiing. Morecambe is only a short drive away and a lovely place to walk along the sea or visit Happy Mount Park with the children. Carnforth is a short drive also. The Pine Lake Resort Clubhouse boasts a restaurant, indoor swimming pool, sauna, gymnasium, solarium and live entertainment in the bar. On-site amenities include boating and fishing, as well as an exercise facility and a childrens playground. 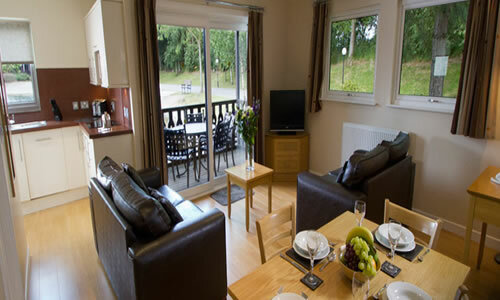 The resort is wheelchair friendly and provides a snack bar and laundry.